Unlock Sony Ericsson Xperia Miro - Safe IMEI Unlocking Codes for You! Unlock Sony Xperia Miro Handset! In case your Xperia Miro doesn't ask for the code and there is no designated field to enter it, please DON'T PLACE ANY ORDER, contact us first for support. 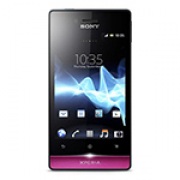 Want to get your Xperia Miro unlocked and ready to use on any GSM SIM network across the world? SafeUnlockCode can get it unlocked safely and securely and at a great price! On top of this, it’ll be super quick to get unlocked! After the code is sent your way, it will take no more than two minutes! Check out our full list if you want to unlock a different handset instead. Being unlocked will let you play against GSM carriers across the world, including T-Mobile, Koodo, Rogers, Bell, AT&T and tons more! Before you get unlocked, we’ll need some information! Send us the correct IMEI - This can be found by dialing *#06# or by reading it from the sticker found underneath the phone’s battery. Select the country and select the network your Xperia Miro is locked to. Please make sure you enter this information in correctly when placing an order! If you do not, we won’t be able to refund for making this mistake as we pay for each IMEI unlock attempt. We also highly advise you to find out whether your Xperia Miro is hardlocked or not. If it is hardlocked, you will not be able to unlock your phone because all of your unlock attempts have run out. Insert a new SIM card (different to your current network) into your Xperia Miro. Then, turn on the device, and press the following sequence of keys- Menu Back Back Menu Back Menu Menu Back or alternatively dial *#*#7378423#*#*. If the menu shows 0 alongside network, you are hardlocked and will not be able to get unlocked. DO NOT PLACE AN ORDER with us if this is the case. How to Unlock Sony Xperia Miro Phone - Tutorial! Read these steps to get unlocked! Original network and country your phone was purchased in. 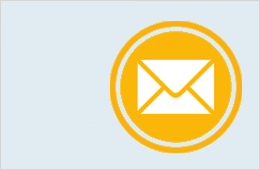 Email address to receive the unlock code. Now, check the price and availability before proceeding to checkout. Once the order is processed, the code will be sent your way soon. Enter a new SIM card into your Xperia Miro, turn on the device and wait for it to ask for an unlock code, pin or key. Enter the code and your phone will be unlocked! Having problems unlocking? You can contact us for help. Can you give discounts also for new code buyer? First time customer. Hi Cliff! Yes, we have discounts and giveaways available. Please email us for more details. Thank you!